Dr. Johan Stipp is back on the stand. Roux is cross-examining. He is trying to nail down how quickly Dr. Stipp got out of bed after he was awoken and then heard screams. Dr. Stipp states that it was just moments (seconds). He testifies to hearing approximately 3 screams. He looked at the house to the right of Oscar’s and all of the lights were on. He looked at Oscar’s house and just the bathroom light was on. At the same time he is trying to ascertain where exactly the screams are coming from. Roux is trying very hard to nail him down on exactly which of these things came first – the screaming, or the looking at the lights, talking to his wife, etc. Dr. Stipp is trying to explain back to him that all of these things are happening at the same time. Roux desperately needs there to be extra time in between the two sets of bangs because according to Oscar’s statement, he did quite a few things in between when the shots took place and when he knocked in the door panel with the cricket bat. Roux is trying to sell that the initial bangs that got Dr. Stipp out of bed were the gunshots and the second set of bangs was the cricket bat breaking down the door. Since Reeva can’t scream anymore after the gunshots, clearly the only logical solution for the screaming heard in between is Oscar screaming like a woman. 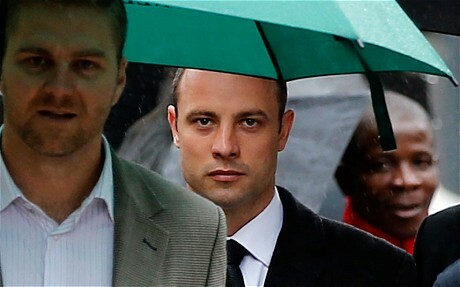 They can’t be having a woman screaming at all because it destroys Oscar’s case. Oscar shoots through the toilet room door and Oscar starts wailing, so much so, and extremely high-pitched, that all of the neighbors think they hear a woman screaming (although, he never states that he does this in his affidavit). THIS IS WHEN STIPP WAKES UP AND GOES OUT ON HIS BALCONY AND SEES THE BATHROOM LIGHT ON, AND HEARS THE SCREAMS. That light was on immediately after the FIRST SET of bangs that Dr. Stipp heard. So that would have to mean that the light was either on during the gunfire or Oscar turned it on immediately after the gunfire (if we are to believe that the first bangs heard were shots). 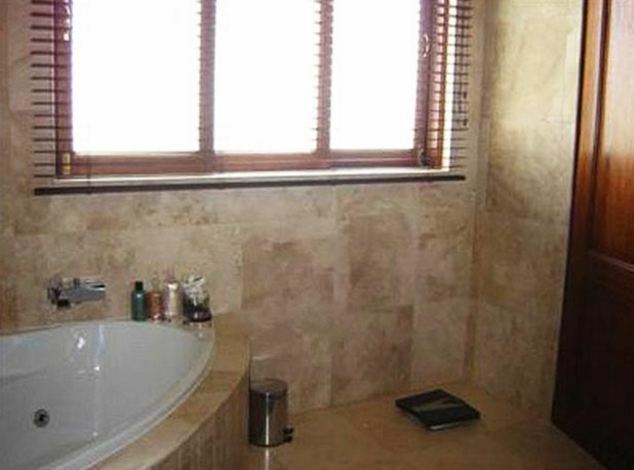 Remember, at this point Oscar supposedly didn’t know that it was Reeva in the toilet room. In light of that, why is he wailing like a woman? This is why Roux needs to know when exactly Stipp heard the screams because it makes no sense that Oscar is screaming within seconds of the gunshot. But according to Stipp, that is what he heard. He specifically states “I was still too scared to switch on a light”. Those are his words. Again, I have to remind you that at this point Stipp is seeing the light on and hearing intense high pitched screaming, yet Oscar still doesn’t know that it is Reeva who is shot in the toilet room. Oscar makes his way to the bed and realizes she’s not there and all of a sudden it dawns on him that it might be her in the toilet, not an intruder. He goes back to the bathroom and he realizes the toilet door is locked and goes back to the bedroom again. He then opens the balcony door, walks out and yells help, help, help. He can’t kick the door in with his prosthetic legs so he goes back to the bedroom to get the cricket bat and returns to bash the door panel in. So, even if we go with the defense story and try to weave in Dr. Stipp’s account, it still doesn’t work. They don’t fit. 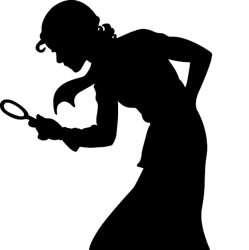 If we are to believe the witness Dr. Stipp and believe that the bathroom light was indeed on that whole time, that also creates a serious problem for Oscar’s claim that he saw the bathroom window open and felt a rush of terror. Does it seem likely to you that somebody who breaks in to your home in the middle of the night via your bathroom window is going to turn the light on? Oscar being “terrorized” by this is simply illogical. One discrepancy that was found amongst witness Dr. Stipp and witnesses Mrs. Burger and Mr. Johnson is that Burger and Johnson heard blood-curdling screaming immediately before and during the bangs that occurred at 3:17am. The screams trailed off with the last bang according to them. Dr. Stipp did not hear screaming immediately before and during the shots at 3:17am (these would be the second set of shots he heard), although he did point out that he was inside dialing security on the phone trying to get somebody to help when he heard that 2nd volley of shots. It’s possible because he was inside focusing on getting a hold of somebody that he did not hear the additional screams that were taking place as those 3:17am shots were going off. Now, they are back to discussing Dr. Stipp’s vantage point. They review photos so Roux can understand what he saw. Dr. Stipp explains that he could see the top half of the middle and right window and all of the left window. Parts of the windows to the right are obstructed by trees, that is why he only saw half of those. The bathroom windows consist of 3 sections and according to Oscar, it was the section on the left that was open (if you are looking at the windows from the outside). Here is a photo of the windows from the inside – so it would be the window section closest to the toilet door on the right that Oscar states was open. Roux wants to know how Dr. Stipp saw a figure moving in the window since the windows are frosted. He assumes it’s because the window on the left is open and he can see the figure through that open space. Surprisingly, Dr. Stipp states that he doesn’t recall that window being open. This would be another huge problem for Oscar. The window being open is one of the things that supposedly freaked him out so much that he went in to full blown terror mode thinking there was an intruder in there. But Dr. Stipp states that he can’t definitely say if it was open or closed, just that he doesn’t recall that it looked open. Roux states they have pictures from the scene and puts the kibosh to that conversation quickly. He also addresses the sound tests that they conducted on February 21st this year. He wants to know what Dr. Stipp heard. Dr.Stipp heard loud voices that sounded like they were arguing. But he did not hear screaming. The voices sounded male. He couldn’t make out specifically if one was male and one was female. According to Roux, it was a male and female conducting the test and they were screaming. Dr. Stipp was finally excused. 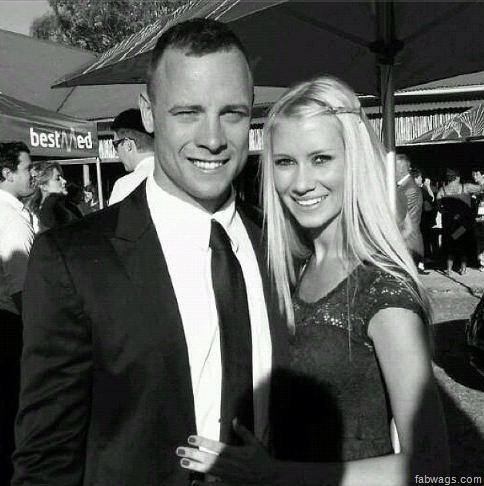 Next up is Samantha Taylor, Oscar’s ex-girlfriend, and Pieter Baba, a security leader from Silverwood Estates. I will write about their testimony tomorrow. Oscar didn’t need to shoulder the door, kick the door, or hot it with a bat. All he needed to do was shoot the lock off. Stipp may, indeed, be correct that the window was closed when he saw it. Roux may also be correct that it was open in “pictures from the scene”. It’s what happened in between those two times that matters. I think OP opened that window when he went back upstairs, alone, after bringing RS body downstairs. Someone(s) who arrived earliest on the scene testified that he went up alone. How did they come up with the 3:17 time of shots?? and what was the first set of gunshots the Stipps and Estelle Merwe heard @3 am?? Mrs. van der Mewre stated that around 3am, she heard the bangs. But she did not give a definitive time. Based on the crying that her husband heard afterward, and he identified those cries as Oscar’s, it fits very well that she heard the last series of bangs – the gunshots. I believe that the reason why Mrs. van der Mewre heard intermittent fighting from 2am to 3am was because the argument started in the front of the house that faces her bedroom balcony (maybe the kitchen area) and ended up in the back of the house. The loud female voice was not in one location the whole time. She did not hear the blood-curdling screams prior to the shots because again, Reeva was in the back of the house in the bathroom area when she was shot. But OP’s loud crying was taking place in the front of the house as he went downstairs to open the front door and do whatever else he was doing down there. We do not know what the State’s theory is regarding the first set of bangs that were heard right around 3am. They will obviously need to address that in their closing argument. The Stipps are the only neighbors that heard the first set of bangs. Their bedroom balcony doors were open and OP’s bathroom window was open and they had direct ear shot across that open lot. In the middle of the night with those open conditions, any type of banging, whether it be on the door, on the metal bath plate, on the bedroom door, etc. could have potentially been heard by the Stipps. Makes sense..how do we reconcile that the Burgers heard female and male yell help help help BEFORE the gunshots and the Stipp’s (better location) heard male scream shortly AFTER the gunshots? Mrs. Stipp did testify that she also heard a male voice intermingled with the female voice just before the second shots, but she could not make out what the voices were saying. I suppose it’s possible that Oscar yelled “help, help, help” both before and after the shooting. Or maybe Burger just simply had the timing of the three helps off in her sequence of events. Nel needs to deal with these discrepencies between his witnesses to convince the judge that the deceased was the one yelling those terrifying screams and NOT the accused That is really the key to winning a conviction on the ‘premed’ murder of Reeva. Why would OP yell ‘help’ if he was shooting at her with intent to kill her? wether he did that before or after the gunshots, one would try to keep the crime ‘out’ of the public’s hearing range..? Was he trying to cover for her screams???. I agree that Nel does need to address the discrepancies and put everything in to a neat timeline for the closing. I have confidence that he will do that. All what u say is reasonable. Ms. Nhegenthwa also heard the last bang of the shots heard by the Stipps and after heard male crying ‘help help help’…However,Ms. Van Merwe’s evidence did place the gunshots at 3 am when she woke up again (after the argument)..We did not hear from her husband, so we dont know at what time did he call security as she said he did??. My notes show that Mrs. van der Mewre stated the bangs were sometime around 3am. She didn’t quote an exact time, the same way she did when she said the arguing started at 1:56am. So it is possible that sometime around 3am, could be 3:15am. Unfortunately the interpreter was not very good and it’s hard to know if exactly what Mrs. van der Mewre intended to say was relayed properly. So I’m working under the assumption that she was estimating the 3am timeframe. All of the other details that she gave fit with the other witnesses. She heard the loud bangs (4 of them) and then there was a silence. A short while later the loud crying (not screaming) started, followed by police/ambulances outside his house. That totally fits with the last bangs being the gunshots. As for her husband’s security call, I’m not sure who exactly he called. His call was not reported by Baba, nor was it included in Moller’s evidence of the security calls that night. Maybe he called the police directly? The van der merwes lived in silver stream estate, OP lives in silver woods estate. 2 different estates but next to each and there house was on the border of the 2, making there house about 150m away as the crow flies. Van der merwes husband called his security at his estate, silver streams, they told him they dont or cant assist as the commotion is next door. He didnt phone anyone else and they went to sleep a little later. That is not correct. The van der mewres live across the street from OP to the left, if looking from an aerial view. Burger/Johnson live in silver stream on the border. Yes they did try to sleep longer afterwards but Johnson testified that he was restless and worried so he got up to measure his doors (to research extra security the next day) and also went to work early. You can reference the location & testimony of each witness in my earlier blog posts. You are quite right, I mixed up the names. Main point was that the reason no record of johnsons calls to security was that he didnt call silverwoods security. The 2nd set of gunshots occurred a few minutes BEFORE Dr. Stipp actually reached security @3:15:51(16 second call) . If this was the real shots that killed Reeva, it was between 3:12 am & 3:14 am.This timeline would fit with Ms.Neghenthwa’s hearing the last bang and her going to a few locations in her house to see where it was coming from and a few minutes later, her husband called security and only got thru on second try @3:16:36.This timeline would also fall in line as to when Mr. Johnson tried to call security 3x I dont get how Roux or Nel came up with the 3:17 time of the shots. Now all Nel needs to prove is that Reeva was alive BEFORE that time and i am sure he will. There is Mr Hartopp on here who believes OP went to the house that night with intent to kill. The bangs the Van de Merwe’s heard first around 3 am may have been the cricket bat, as they were so close. Next the screams and then the gunshots. Rubbish. This theory has been disproven by the state’s forensic expert witnesses..It was accepted by all and the evidence that the Gunshots came first then the cricket bat smashing toilet door down. All the screams heard occurred between these two events in that sequence.